The UAH satellite data says otherwise. Of course there are many global temperature sets and most have eradicated the pause. But even the IPCC discussed “the pause” back in 2013. And the Daily Mail wrote about it. 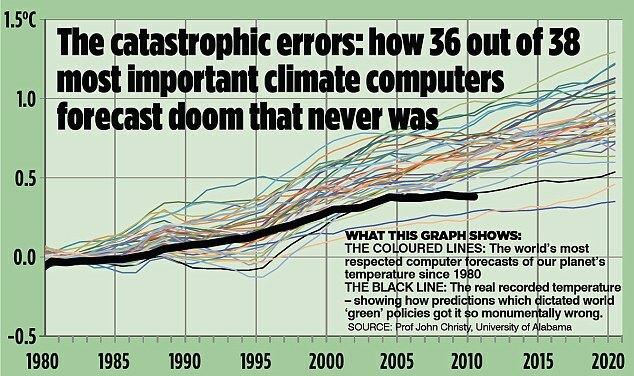 “Yet the leaked report makes the extraordinary concession that over the past 15 years, recorded world temperatures have increased at only a quarter of the rate of IPCC claimed when it published its last assessment in 2007. Back then, it said observed warming over the 15 years from 1990-2005 had taken place at a rate of 0.2C per decade, and it predicted this would continue for the following 20 years, on the basis of forecasts made by computer climate models.